Concepts of beauty have continuously been evolving throughout history with current emphasis with slimmer forms. With fashion promoting body-revealing attire and the emphasis on fitness and good health, people have sought to reflect these trends by demonstrating youthfulness and vitality in their bodies. Lifestyle, diet, genetic determination, pregnancy, and the aging process, contribute to alterations that result in the loss of the individual’s body image. Our objective is to provide you with cutting-edge surgical approach that combines safe and efficient surgical techniques, resulting in a high degree of patient satisfaction. This is exemplified by our approach to abdominoplasty. Our methodology established an incision, following a natural crease, which was adequately hidden under beachwear. Our precise methodology for combining procedures such as liposuction with abdominoplasty is to assure patient safety while at the same time individualizing the surgical technique to optimize aesthetic outcome, safety, and down-time. Abdominoplasty is a surgical procedure to remove excess skin and fatty tissue from the abdomen and to tighten muscles of the abdominal wall. Abdominoplasty is not a surgical treatment for being overweight. Individuals who intend to lose weight should postpone all forms of body contouring surgery until they have reached a stable weight. 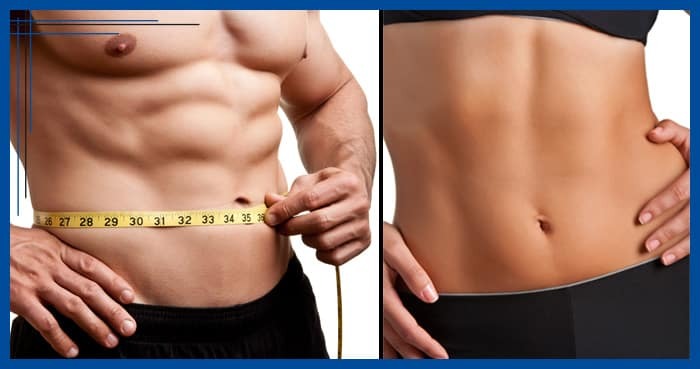 The best candidates for abdominoplasty are men or women who have attempted diet and exercise to improve areas with excess skin and fat in the abdomen and flanks (“love handles”) but have not been successful. Pregnancy, stretch-marks, and weight fluctuations can take a tremendous toll on the body, particularly the waistline. A tummy tuck can help by erasing the effects of repeated stretching and weight changes. This procedure removes excess skin and fat from the abdomen and tightens the muscles of the abdominal wall. The result of a tummy tuck is to dramatically reduce the appearance of a protruding abdomen, giving a flatter, tighter abdomen and a thinner waistline achieved by combining lipoabdominoplasty. In the initial consultation, Dr. Schenden will evaluate your health, determine the extent of fat deposits in your abdominal region, and carefully assess your skin tone. Our Vectra 3D Imaging Software allows you to visualize what your results will be. Dr. Schenden will ensure your questions are answered and your goals are understood. Patient expectations are important to discuss at the consultation. Surgical technique is individualized to each individual patient based on location of fat deposits and excess skin. Be sure to mention smoking, medications, medical history, and previous surgeries. If you smoke, plan to quit at least 4-6 weeks before the scheduled surgery otherwise an increased risk for infection and poor wound healing will occur. Avoid sun exposure before and after surgery as this may interfere with scar formation. Patient preference will be incorporated into this decision. We have the option of outpatient or inpatient surgery. The facilities we are privileged to operate from include Columbia Surgery Center (our private surgical suite), and William Beaumont Hospital of Troy, MI where Dr. Schenden is currently Chief of Plastic Surgery. General Anesthesia for Traditional (Full) Abdominoplasty or Mini-Abdominoplasty. Full abdominoplasty usually takes two to five hours, depending on the extent of work required. Mini abdominoplasty may take two to three hours. Incisions are typically placed in the natural crease line extending to the hip and across the hairline of the pubic area. An additional incision is placed around the umbilicus (belly button) to reshape it in relation to the overall aesthetic appearance of the abdomen. The abdominal muscles are sutured closer to give a flatter and tighter abdomen. Skin is pulled down and trimmed to provide a nice firm abdomen along with an improved waist line. Liposuction assists in providing sculpting of the flanks to improve the overall aesthetic appearance of the abdomen. 2 drains will be placed which will be removed in the office after surgery. As expected pain will be present. We cannot eliminate your pain completely after surgery but will significantly control it to tolerable levels with medications. Detailed instructions will be discussed at your consultation. Drain teaching and wound care will be demonstrated before and after surgery. Normally you may return to work after 2 weeks but with light duty and no heavy lifting or strenuous activity for 6 weeks. Swelling is expected with the majority of the swelling will improve within the first 4 weeks after surgery. Expect the final outcome of the abdominal appearance at 6 months after surgery. Scar will continue to mature (color change) up to 12 months. We highly encourage maintaining a stable weight, healthy diet, and consistent exercise plan after surgery to maintain your aesthetic outcome. Every surgical procedure involves a certain amount of risk and it is important that you understand these risks and the possible complications associated with them. In addition, every procedure has limitations. An individual’s choice to undergo a surgical procedure is based on the comparison of the risk to potential benefit. Although the majority of patients do not experience complications, you should discuss them with your plastic surgeon to make sure you understand all possible consequences of abdominoplasty.